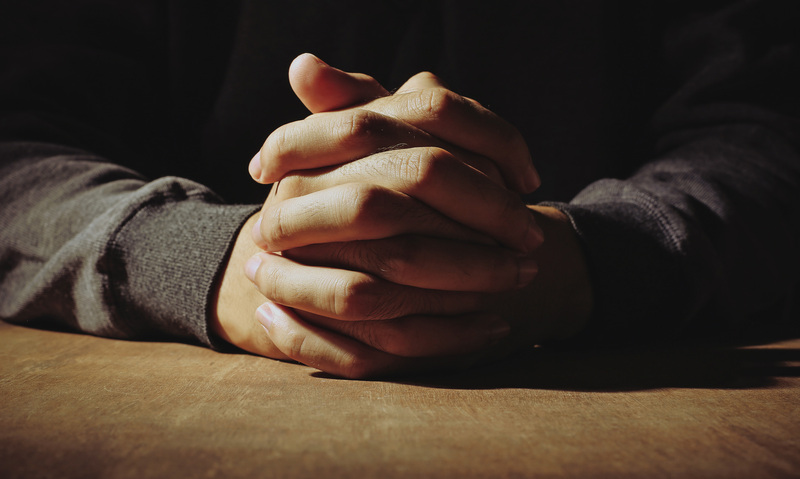 How To Be An Unsaved Christian When secret prayers don't cut it. Are you “saved”? Understanding the concept, and getting saved is really quite simple: You’re a sinner headed for hell, Jesus died to take your punishment, and if you “ask him into your heart” you’ll go to heaven instead of hell. Right? The only problem is, almost none of that is true. Salvation, as understood this way, has taken root in much of Americanized Christianity and even global Christianity, due in part, to the American way of packaging and exporting an Americanized version of the faith. It is a easy, simple, non-costly understanding of salvation that has little Biblical support even though it is so common. Speculation can be made as to how we got to this place, but most scholars who have paid attention seem to agree that it has to do with our culture of individualism. We want it all. We want the American dream and we want salvation. So we invented a version of salvation that is compatible. The Sinners Prayer. This concept, which was invented in America has allowed for mediocrity and hypocrisy to characterize the lives of many avowed Christians. The Sinner’s Prayer is a modern deviation from orthodox evangelicalism and has no history in Christian tradition. An early proponent of the sinner’s prayer was the well-known American evangelist D. L. Moody, who is responsible for popularizing several false doctrines. Today in America, it is so prolifically taught that many just assume it comes from the Bible. It does not. “Salvation” understood this way becomes something secret where you really have no way of knowing who is saved or who isn’t. It becomes like a membership card you have in your wallet, where no one can see. With such a watered-down understanding of salvation it is easy to see why many could see someone like the American president as “saved”. After several televangelists reported rumors that the President “accepted Christ” it was seen by many that he was “one of us” now. Is that really what salvation is? According to the Gospel salvation has little to do with a secret transaction that sends you to heaven, and much more to do with where your allegiance lies. The term salvation from the New Testament can hold a variety of nuance, but the ultimate contextual meaning of salvation is in reference to someone who has decided to have citizenship in God’s Kingdom. The term Kingdom can trip up a lot of modern readers because we rarely use it, so a better word is nation. Jesus came to proclaim the Gospel and Scripture says that the Gospel is this new nation of Christ (Luke 4:42-43). Joining this nation of Jesus is much like joining any other nation that has a ruler: you join by pledging your allegiance and obedience, and then living it out. So often the short version is taught: as long as you have the card in your pocket, you’re saved. The second half is nice, but not totally necessary, because there’s a lot of reasons why we don’t always do what Jesus did. This version of salvation is an easy, consumer-mindset, individualized transaction that focuses on where you’ll go when you die, not on how to live in the here and now. That is precisely why it is powerless. Biblical salvation is directly linked to actually living out the Kingdom like Jesus said (Matthew 5:44-45). This is precisely because Biblical salvation has little to do with life after death (though it does some), but has a lot to do with life right now. Because of this, when Jesus uses the term “eternal life” he often uses this term in the present tense. Jesus knew that all people, in the past, present, and future, are drowning in the pagan cultures of the nations they live in. According to Scripture, every nation of the world is controlled by Satan (1 John 5:19). Because of this, Jesus announced the arrival of a new nation. Those who wish to be saved out of the nations they live in, can have citizenship in this new nation. For those who reject the ways of the Jesus Nation, for those who oppress the poor, for those who reject the immigrant, those who refuse the way of nonviolent enemy love, those who refuse to live out the culture of the Kingdom right now, it would be a stretch to say they are “saved” in the Biblical sense of the word. Until they put down their guns, feed the hungry, and welcome the immigrant, they have not yet entered God’s Kingdom and begun living in it. They may have “asked Jesus into their heart” but they have not yet joined the Kingdom— and that is what salvation is about. Jesus made his most difficult command, nonviolent enemy love, a requirement for being a part of his Kingdom, and thus, a requirement for being saved. Salvation is not a transaction that is once and for all, taking place totally within one’s heart. It does begin in the heart, but salvation doesn’t end there. Salvation is a process that needs to be continually worked out (Philippians 2:12-13). It is not possible to be saved if one is not actively striving to be obedient to Jesus and the culture of the his nation. Scripture speaks very clearly about this (Matthew 7:21-23). Jesus said it is possible to be deeply religious, to read the Bible all the time, and to still not be saved (Matthew 21:31, John 5:39-40). He said that many who are thrown into the lake of fire on judgement day will be Christians who did not care for the poor and needy, and thus never actually entered the Kingdom (Matthew 25:31-46). Other New Testament writers also back up this concept of salvation, such as the author of James who wrote that faith which is not followed up by caring for the poor and hungry cannot save you (James 2:14-17). Many American Christians don’t want to be saved. When faced with the reality that their citizenship, loyalty, and patriotism for America absolutely must be abandoned for citizenship, loyalty, and patriotism for another nation, they would rather not. But that is what salvation is; it is the offer of citizenship in a new nation that will outlast all others (Philippians 3:20; Hebrews 11:13; 1 Peter 1:17). Like a drowning person thrown a life preserver, some would rather just keep their head under water and go down with the sinking ship. Salvation is less about your after-life and more about your now-life. Does salvation have anything to do with where you go after you die? In a way, yes. The nation of Jesus, the Kingdom of God, is an eternal nation. But the issue is: it doesn’t matter if they accept God into their heart, if someone is not willing to live inside the Kingdom now, it doesn’t seem like they would even want to live in the Kingdom for eternity. This is precisely why Scripture warns us not to think that salvation is about checking a box in order to go to heaven. If we aren’t being saved right now there isn’t much point in talking about being saved in the future. Salvation isn’t so much a distant event but rather a present reality. Everyone is invited. What is the Kingdom? What Jesus talked about most.